If you want to experience classic French culture, Paris, Brittany, and Normandy can be the experience of a lifetime. Paris is a flurry of museums, festivals, and delicious food. Brittany’s rocky coasts offer French countryside life with a surprisingly Celtic flavor. Normandy has not just the serene English Channel, but also an area rich with history. What better way to explore the richness of these areas than from the comfort of your holiday rental? Try life in a townhouse in Rouen, home to some of Europe’s most famous churches and architecture, including the famous Notre Dame Cathedral. Visit the beaches of Normandy that were host to battles that determined the fate of World War II. Brittany, known for its megaliths and monuments, features beautiful villas that are perfect for immersing yourself in the local flavor, as well as a dramatic and craggy seaside. Vacation rentals in Paris, Brittany, and Normandy offer all this and more. 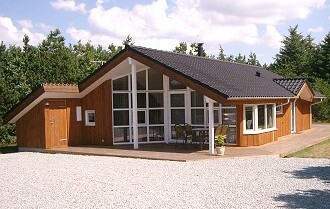 You can find private holiday rentals in all places of the Northern France. In Brittany are many great places on the south coast or to the Canal. In many places you will find remains from the wikings or earlier settlements. An apartment on the Seine could be a perfect home base for walks through Paris’ outdoor markets and cafes. The Louvre, the Seine, and the Champs Elysees are just a few of the attractions that will vie for your time. Enjoy your visite in Paris and live in a private holiday apartment or flat.